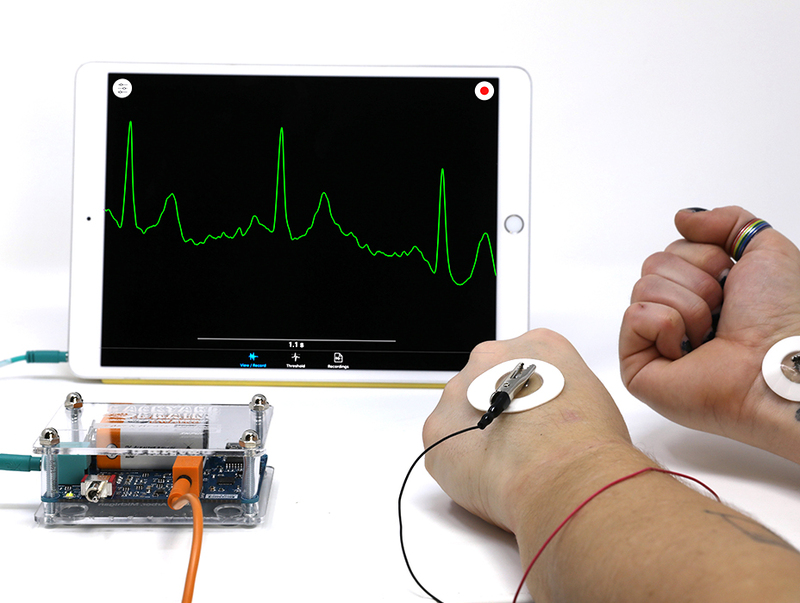 With our Heart and Brain SpikerBox, you can view and record the action potentials of your heart (EKG) and the slow rhythms of your brain (EEG) using a Smartphone, Tablet, Chromebook or Computer running our free Spike Recorder Software. The EKG is the bodies’ most recognizable electrical signal, making cameos in TV medical shows for decades. Our experiments take you through the steps of how to record your own, and what these signals say about you. Tap into the cerebral cortex using our EEG headband to record both brain “rhythms” as well as evoked potentials. Wait, there’s more! You can also use this SpikerBox to record electrical deflections of the eye. Record from Heart, Brain, and Eyes!. Video of Heart & Brain SpikerBox Recording EKG (Heartbeats)! Video of Heart & Brain SpikerBox Recording EOG (Eye Movements)! How to use Brain Alpha Waves to control the pitch of a tone! 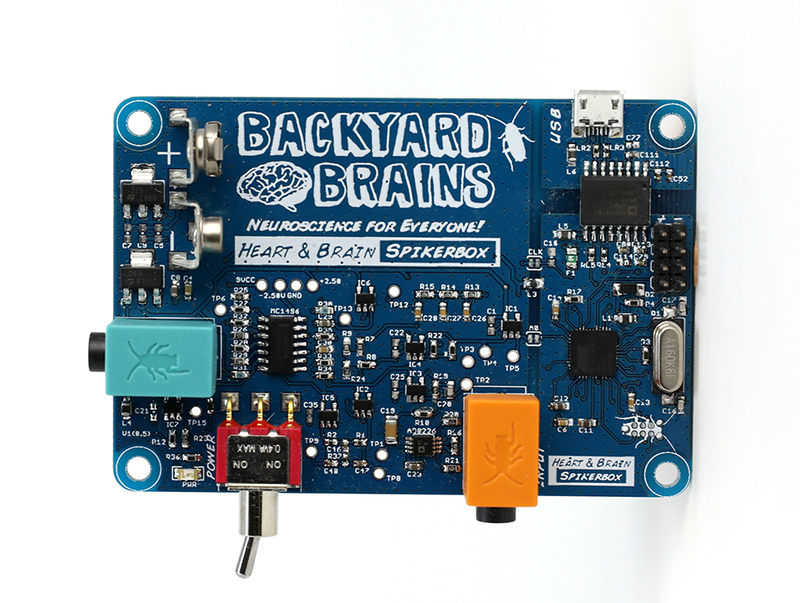 The Heart and Brain SpikerBox comes with electrodes and a headband to perform electroencephalography (EEG). Test for yourself how useful is the EEG for “brain control”. Download our free SpikerRecoder App on your mobile device, and connect the USB or Green Smartphone Cable. See your alpha waves in the palm of your hand! Everyone in the class can participate in these experiments! Do students who play sports have a lower average Heart Rate? Experiment and find out! The Heart and Brain SpikerBox is durable and completely portable! Take it with you to the Gym and measure your EKG on the treadmill or during workouts! For those a bit more adventurous, the H&B SpikerBox contains 6x I/O header pins you can program to write your own experimental protocols.